Cpumining consists of performing calculations in an intensive way. It is important to monitor its temperature. A recent and well cooled processor will have no difficulty to mine. On the other hand, old computers, often dusty, will not have an optimum cooling. For a latop, it's different, they are very poorly cooled and it is not advisable to do intensive work too long. Check your processor's technical documentation for normal and maximum operating temperatures. 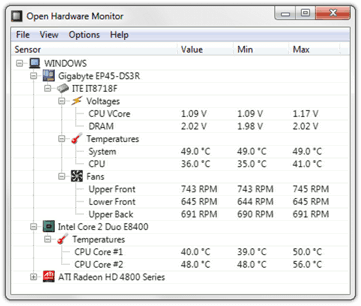 In general, your processor should not exceed 70 ° C.
Take into account the ambient temperature of course which directly impacts the operating temperature of your computer. There are plenty of utilities to give you technical information about your system, monitor and even control the temperature.